On Saturday night I had an impromptu dinner party. I whipped up some Cocoa Linguini with Marscapone and Lemon Zest (which was just okay…) then served an amazing apple crumble for dessert. 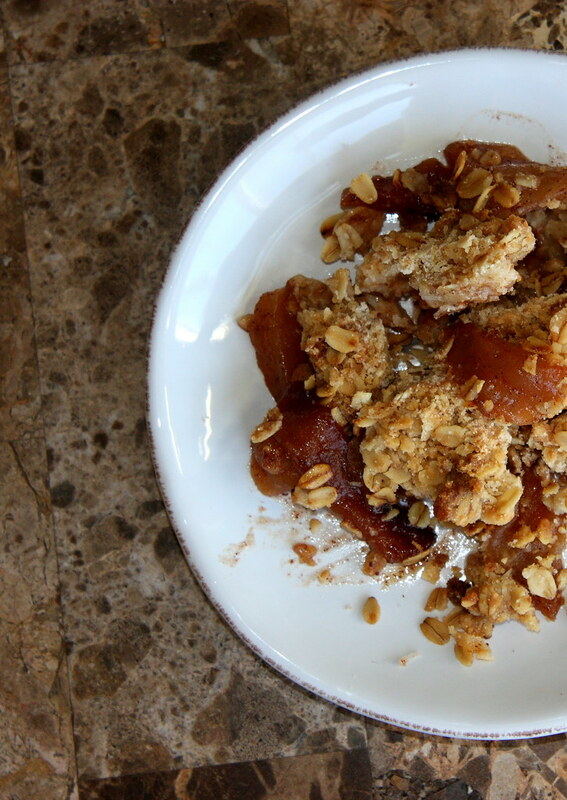 I had a bag full of organic gala apples that were just begging to be used and were on the verge of going bad so I peeled them, chopped them up, coated them in sugar, and served them to my friends. I mean truly, is there any other way to eat an apple? 1) Preheat your oven to 375. Mix oats, 1 cup of sugar, and flour in a bowl. Add your butter and mix the ingredients together with your fingers (or a pastry cutter) until it comes together in a crumbly/grainy mixture. 2) Coat a 10x14in. (or 9x13in.) baking dish with cooking oil. Mix your apples with the remaining sugar, lemon juice, and cinnamon then pour into the prepared dish. 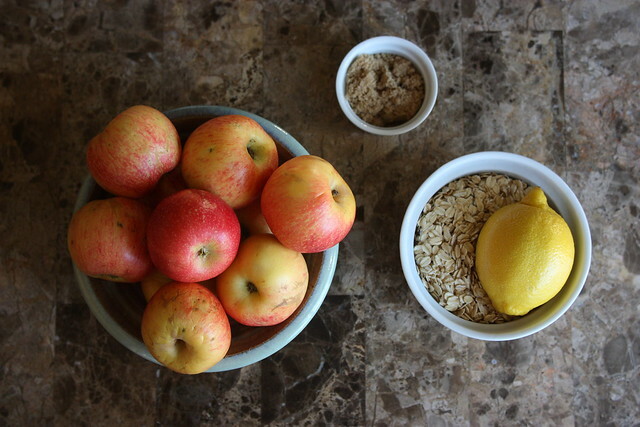 3) Top your apples with your oatmeal mixture then cook for 45-55 min. 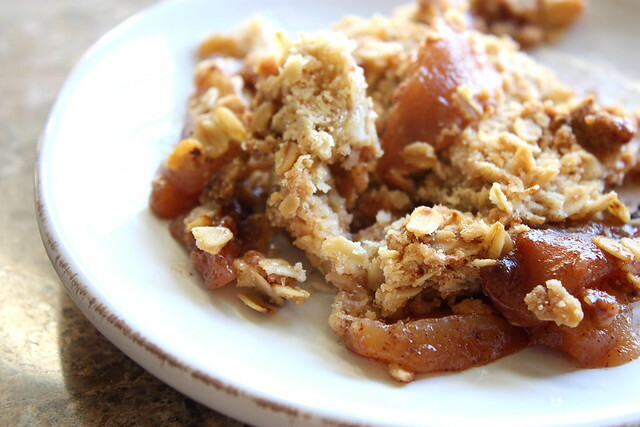 The oatmeal should be a golden-brown color and your apples will be bubbly and fragrant. Top it with some ice cream if you’d like and enjoy!! It’s starting to feel like Fall, ya’ll! I loved this recipe! I started it before I double checked to make sure I had everything, so instead of a lemon I used the juice of a lime (we had them in the fridge) and I used some 100% cranberry juice to add some acidity. Also I used a mix of apples we had in our houe and it was fabulous! mmmmmm apple crumble. this makes me crave thanksgiving already! Thanksgiving is the BEST HOLIDAY! I’m already gearing up for it. agreeeeed. That and Christmas. Christmas food rivals Thanks giving food in my family because Christmas is my mom and sister’s birthday. So the fam goes allllll out.